Most of us associate setting a fitness goal with new year’s resolutions. Yet it can be a real struggle to motivate ourselves to workout on those cold dark January nights; More often than not, our best intentions of getting fit get put aside and before we know it summer’s arrived. 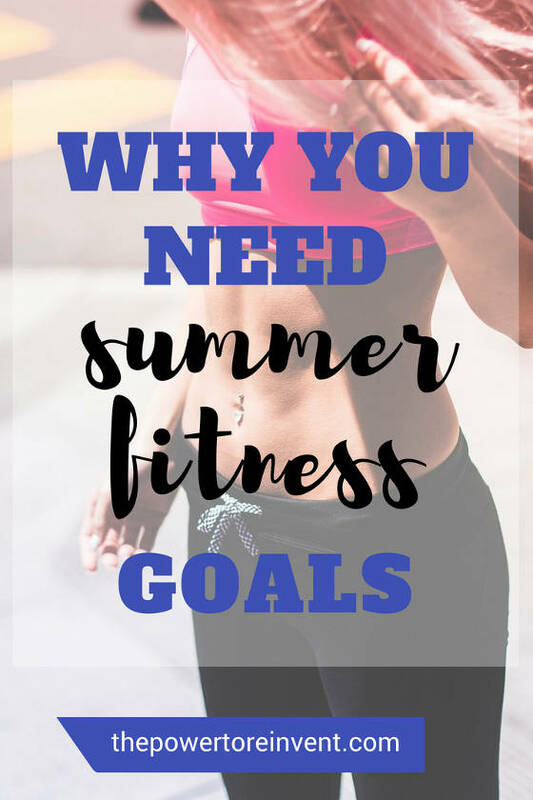 Why set fitness goals for summer? Summer fitness goals work with mother nature, not against her. Our increased exposure to sunlight means our body benefits from serotonin. 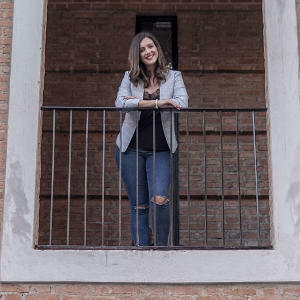 Not only is Serotonin our body’s natural happy hormone but it’s also a “powerful brain chemical that curbs cravings and shuts off appetite” (Judith J. Wurtman PhD). Our happier mood and decreased appetite make our summer fitness goals easier to achieve. Setting a summer fitness goal means we can take advantage of exercising outdoors. Researchers from The University of Exeter found exercising outdoors provides psychological benefits. In a large-scale study, they found exercising outdoors boosts our mood, reduces anxiety and leaves us feeling more energised. Setting fitness goals for summer means we take advantage of the time when our bodies are more active. As a matter of fact, a comprehensive study found that we burn more calories in the summer. Indeed, men burn around 121 calories more per day and women 70 calories more per day. The researchers found we burn more in summer even when compared to January when a whopping 38% commit to exercise more. Goals that are meaningful to you will keep you inspired and driven towards success. Setting a realistic fitness goal is a good idea if you haven’t exercised in a while. Examples of realistic fitness goals include taking a short walk around the park or setting a steps goal for the day. Perhaps you fancy something a little more ambitious? Then check out the free Couch to 5k programme. Some of my friends have completed it. Their results have been so inspiring, and they are now huge running fans! Making fitness fun means you’re more likely achieve your fitness goals for the summer. A favourite fun work out of mine is Zumba, check out a class at your local gym or try it at home. Another fun fitness goal is to join a Park Run. Held all over the world Park Runs are organised timed runs that are completely free to join. Suitable for all fitness levels they can be a great way to get fit, have fun and meet new people. Having beach body goals doesn’t have to mean an extreme beach body diet regime. If one of your summer goals is to get fit and feel confident. I can really recommend Jillian Michael’s 30 Day Shred DVD . This workout DVD is a serious all-time favourite of mine! In fact, I am using it this summer for my own fitness goal. 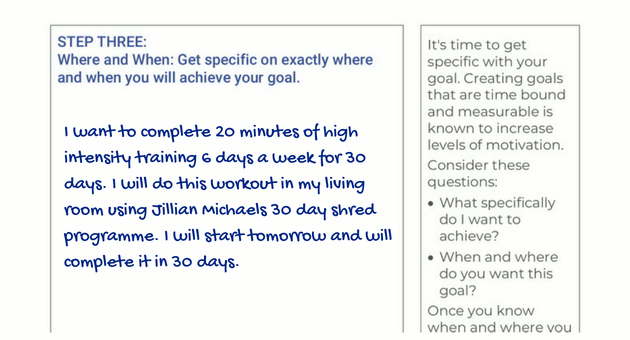 and Jillian’s 30 Day Shred DVD . 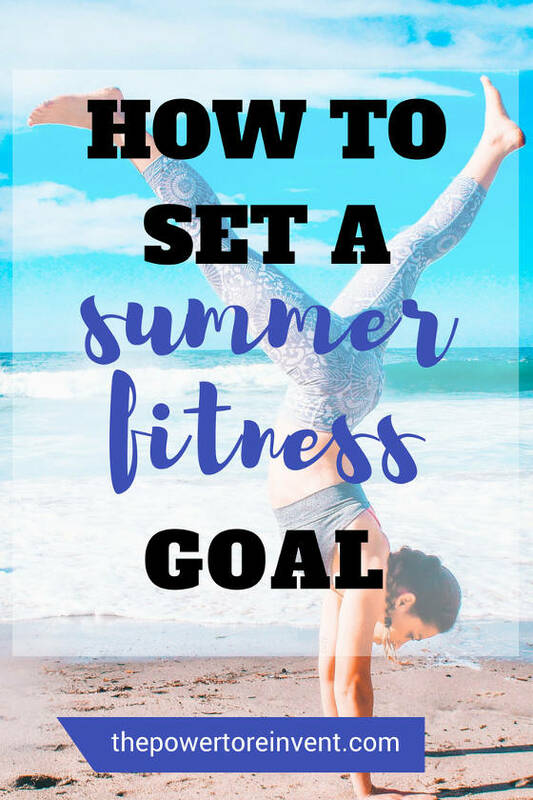 How do I set a summer fitness goal? 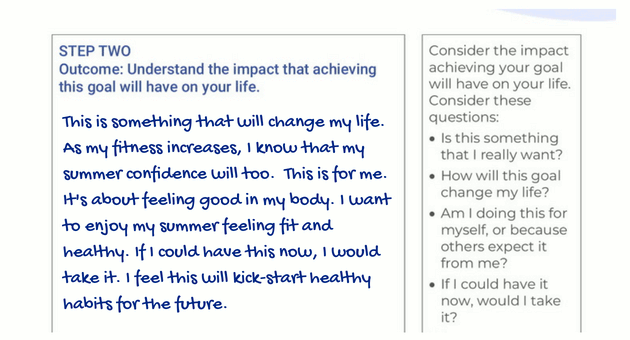 At The Power to Reinvent we believe the best goal setting tool is the POWER Goal System. You can read about why you shouldn’t set a SMART goal here. POWER Goals (Positive, Outcome, Where and When, Evidence and Ready) combine all the best bits of SMART goals with The Law of Attraction. This powerful goal setting technique manifests success by drawing upon the subconscious to bring about fast meaningful change. 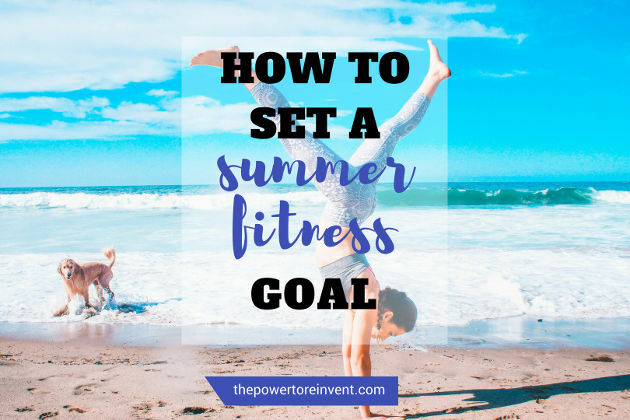 The POWER Goal System is perfect for setting a summer fitness goal! 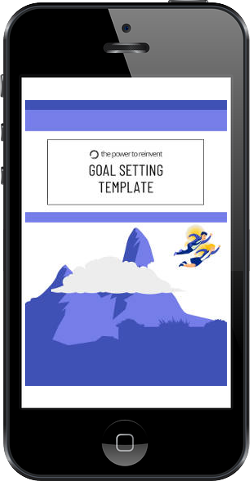 POWER Goals are completed in just five steps and we even have an amazing free template for you to download. 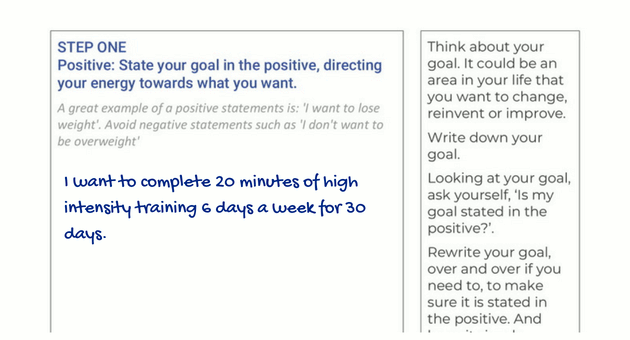 Find out more about setting a POWER Goal by visiting our Ultimate Guide to Goal Setting. Let’s take a look at my personal fitness goals for summer as a quick example. This summer I wanted to complete 20 minutes of high-intensity training six days per week for a month. Here’s how I transformed my summer fitness goal into a supercharged POWER Goal to maximise my success. 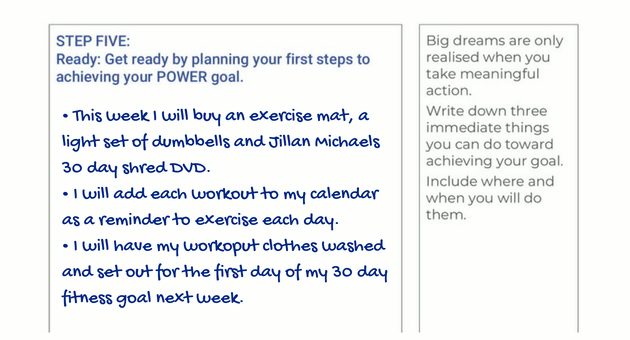 To set the goal, I’ve used my POWER goal setting template (see my Ultimate Goal Setting Guide for full details). As I’ve done here, make sure to state your goal in the positive. What’s in it for you? The outcome is the impact that achieving your fitness goal will have on your life. For me, my goal is about feeling good, feeling more confident and being healthy. Really think hard about what the goal means to you and, in clear but simple terms, write down what impact the goal will have in your life. Let’s get more specific about when and where we will achieve our goal. I have been very specific about how long it will take to achieve my goal and I know exactly where I am going to do it. This helps with motivation. 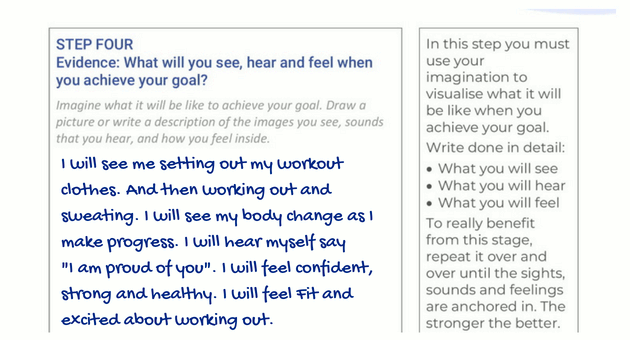 In step four, we use our imagination to call upon the power of visualisation by connecting the goal to our senses. The stronger the better. What will you see, hear and feel as you achieve your goal? This is where we take action. We will never reach our goals without it. Being clear about what the first steps are toward achieving our goal helps us commit to the goal from the outset. 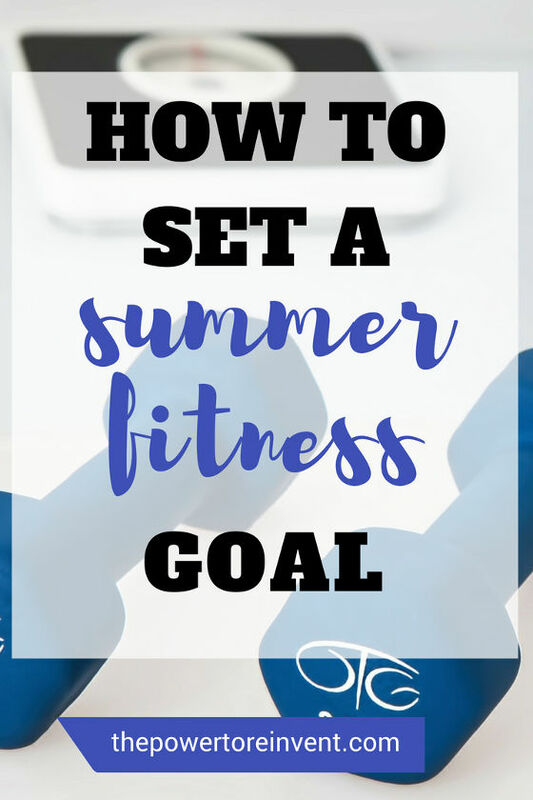 You can really enjoy setting a summer fitness goal. You’ll notice how working with the natural rhythms of your body means fitness integrates into your life with ease. Here’s to a summer of fitness, confidence, and fun! We would love your views! What are your summer fitness goals?